East Timor, also known as Timor-Leste (Tetum: Timor Lorosae; officially the Democratic Republic of Timor-Leste) is a country in Southeast Asia. 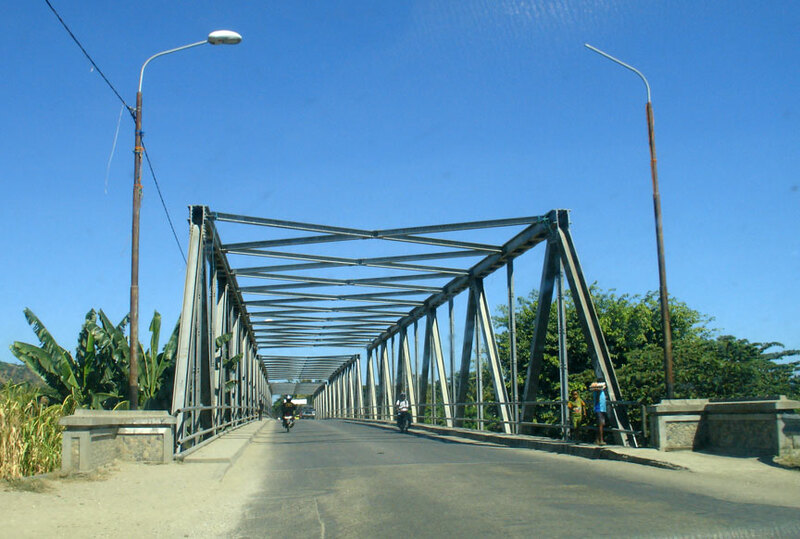 It comprises the eastern half of the island of Timor, the nearby islands of Atauro and Jaco, and Oecusse, an exclave on the northwestern side of the island, within Indonesian West Timor. The small country of 15,410 km² (5,400 sq mi) is located about 640 km (400 mi) northwest of Darwin, Australia. 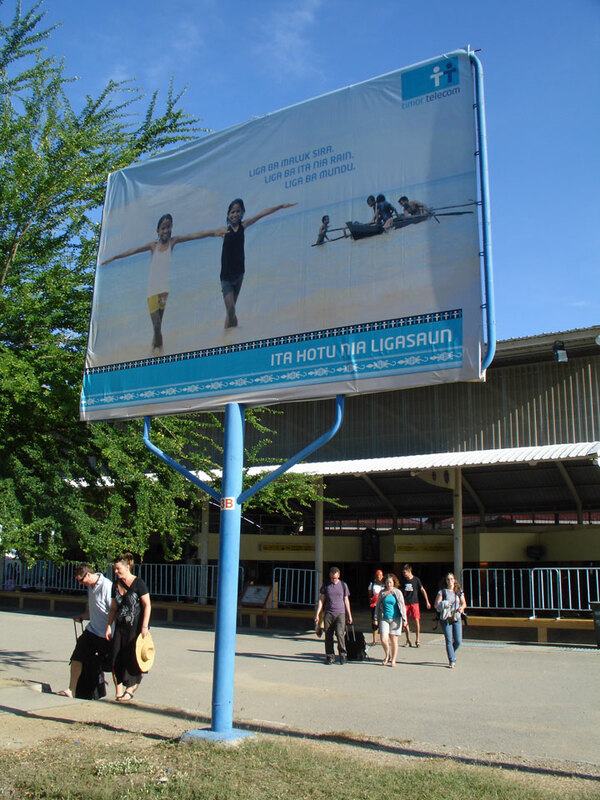 East Timor is a lower-middle-income economy. It continues to suffer the aftereffects of a decades-long independence struggle against Indonesia, which damaged infrastructure and displaced thousands of civilians. It is placed 162nd by Human Development Index (HDI) among the world's states, the second lowest in Asia. 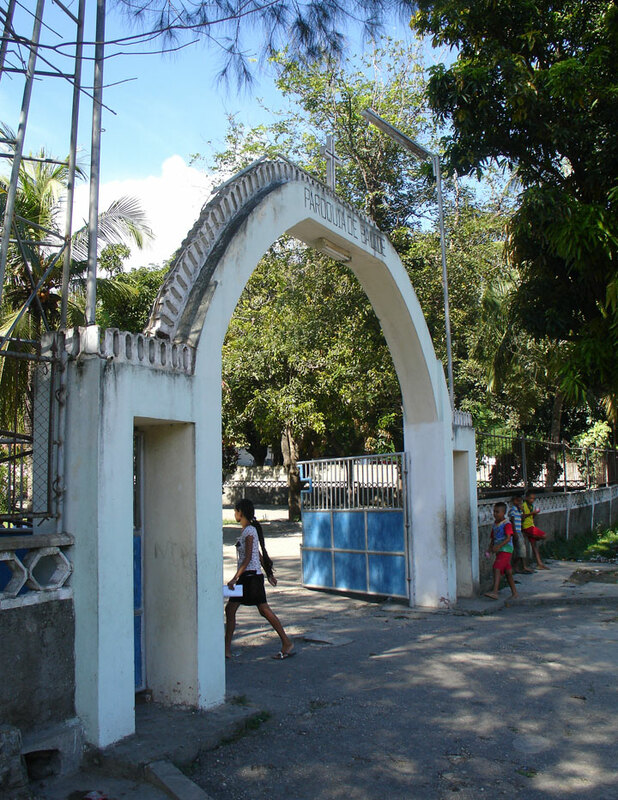 "Timor" derives from timur, the word for "east" in Indonesian and Malay (hence the Indonesian Timor Timur) which became Timor in Portuguese and entered English as Portuguese Timor. Lorosa'e is also the word for "east" in Tetum, literally "rising sun". 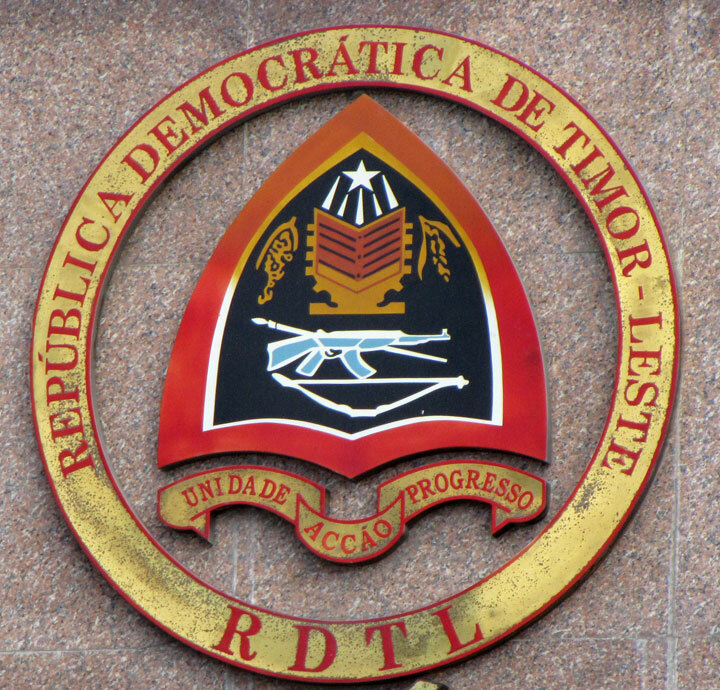 The official names under the Constitution are República Democrática de Timor-Leste in Portuguese, which is almost universally used within the country, and in Tetum, Repúblika Demokrátika Timór Lorosa'e, which is infrequently used and is not standard across the many Tetum dialects. 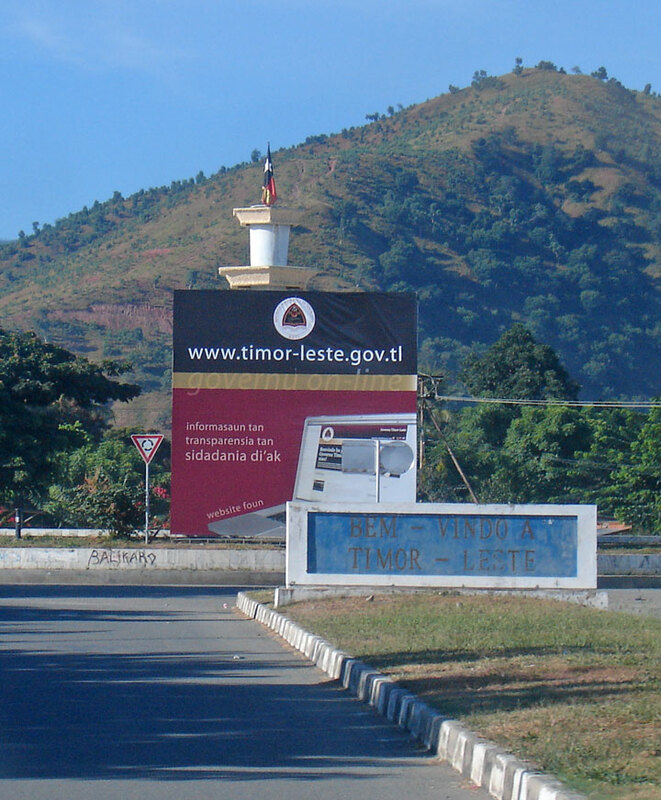 Following independence, the government requested the official name in all languages be Timor-Leste, but this has not been commonly adopted within English-speaking countries worldwide, where "East Timor" is the common usage. 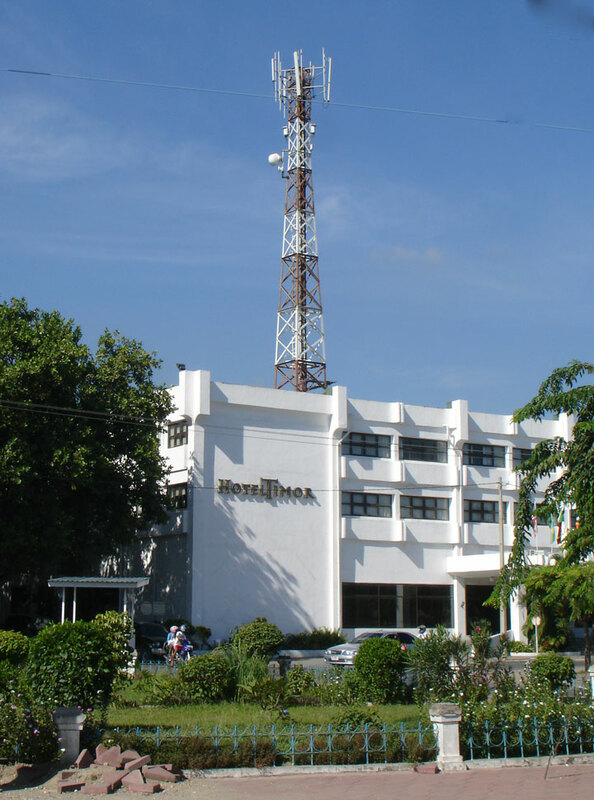 The Indonesian name Timor Timur, abbreviated as Timtim, is now less widely used, with the Indonesian government and media now using Timor Leste. The official short form names of countries worldwide are set by the International Organization for Standardization (ISO). 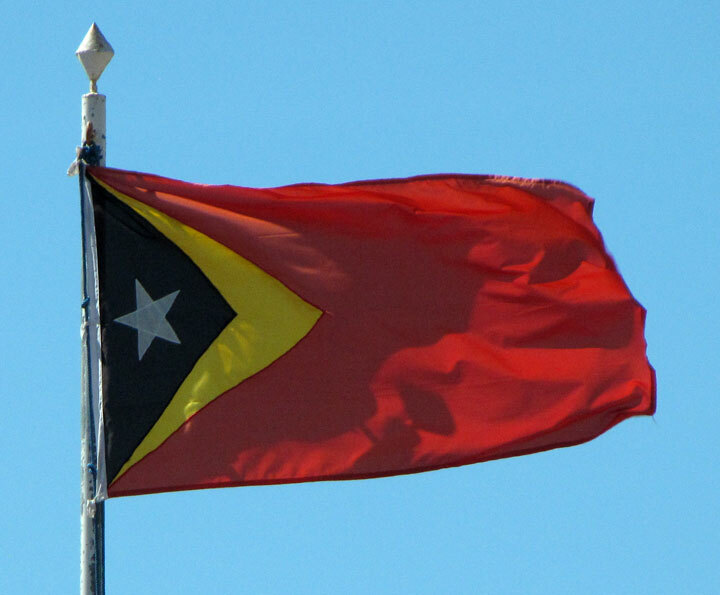 The ISO 3166-1 official short name in English and all other languages is Timor-Leste. The ISO definition is adopted by the United Nations, the national standards organisations of France (AFNOR), the United States of America (ANSI), Britain (BSI), Germany (DIN) and Sweden (SIS) and is universally used by international NGOs. 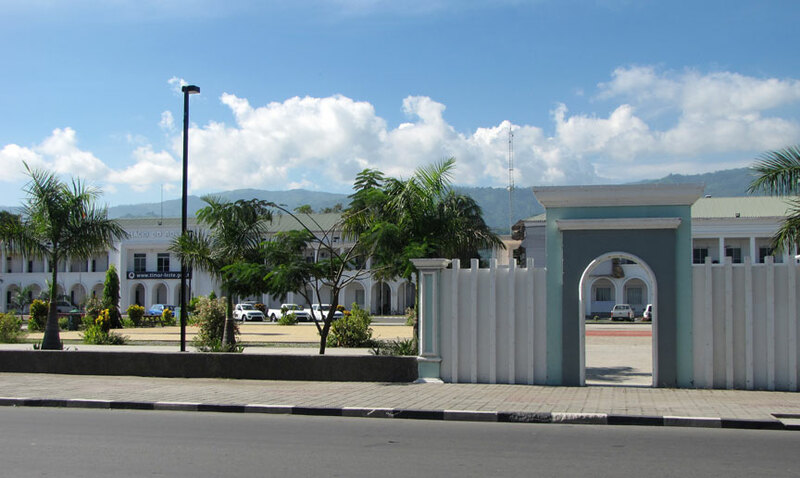 Timor–Leste is used as a matter of protocol by the departments of foreign affairs of almost all countries for example, the USA Department of State and the European Union, notable exceptions being Australia, which uses "East Timor". 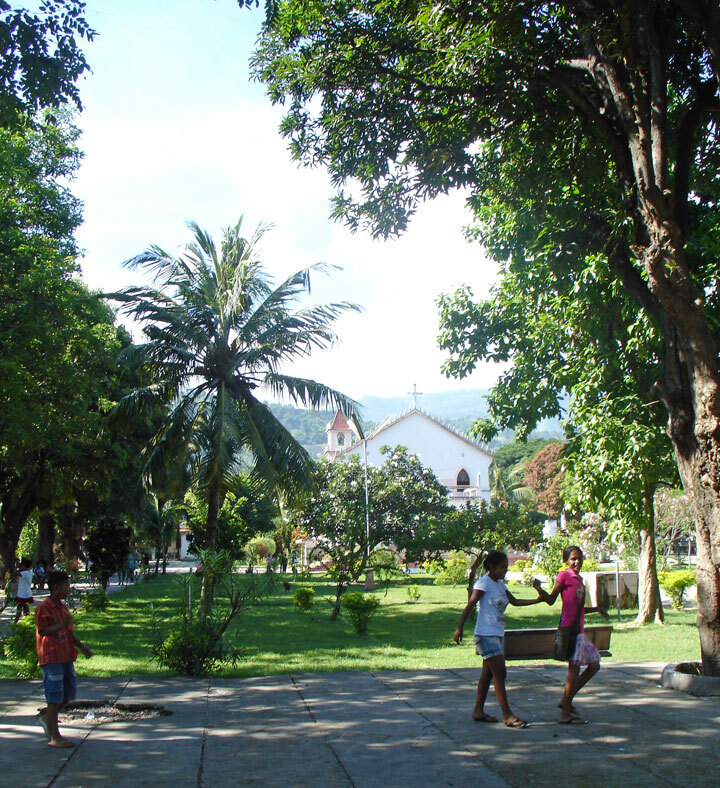 The island of Timor was originally populated as part of the human migrations that have shaped Australasia more generally. It is believed that descendants from at least three waves of migration still live in the country. The first were related to the principal indigenous groups of New Guinea and Australia, and arrived before 40,000 years ago. Around 3000 BC, Austronesians migrated to Timor, and are possibly associated with the development of agriculture there. Thirdly, proto-Malays arrived from south China and north Indochina. The mountainous terrain kept these groups separated, and this is why there is so much linguistic diversity in East Timor today. Timor was incorporated into Chinese and Indian trading networks of the 14th century as an exporter of aromatic sandalwood, slaves, honey and wax. 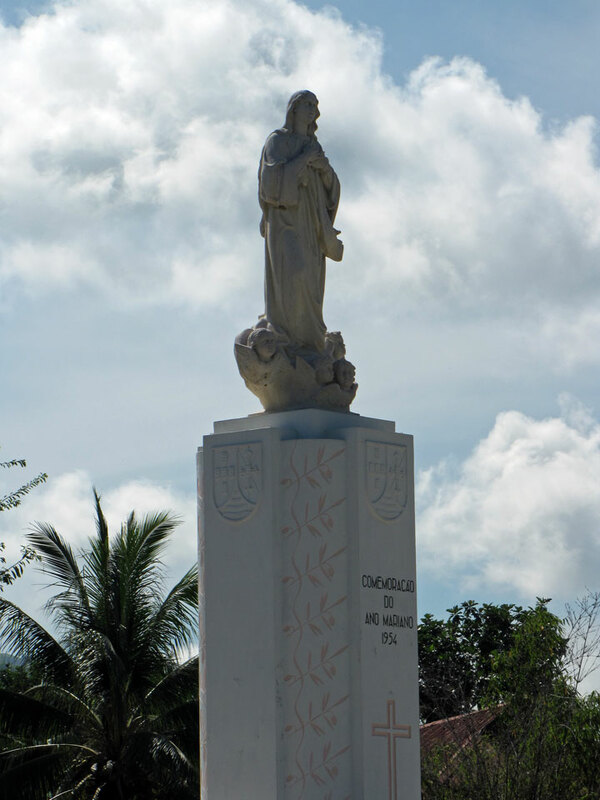 The earliest historical record about Timor island is 14th century Nagarakretagama, Canto 14, that identify Timur as an island within Majapahit's realm. 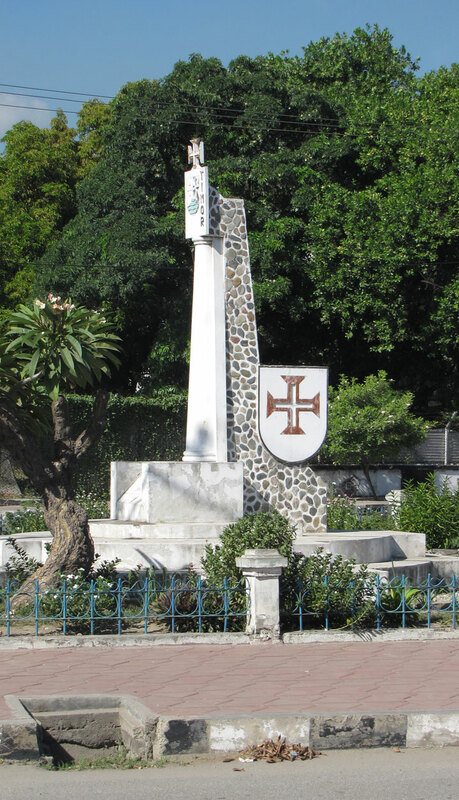 Early European explorers report that the island had a number of small chiefdoms or princedoms in the early 16th century. 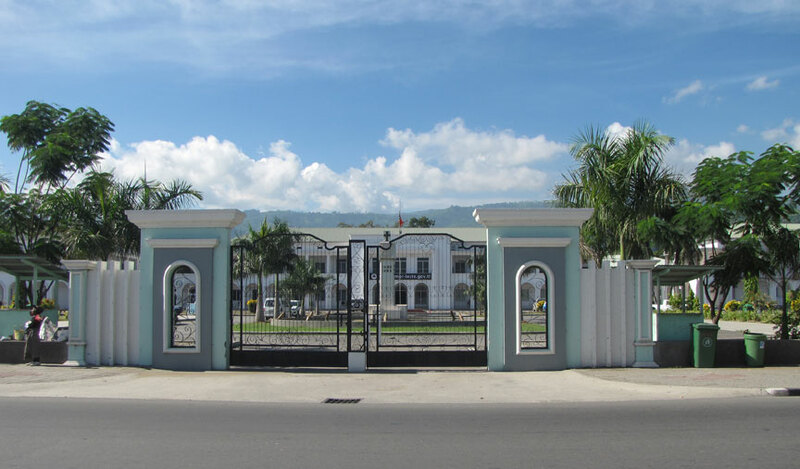 One of the most significant is the Wehali (Wehale) kingdom in central Timor, with its capital at Laran, West Timor, to which the Tetum, Bunaq and Kemak ethnic groups were aligned. 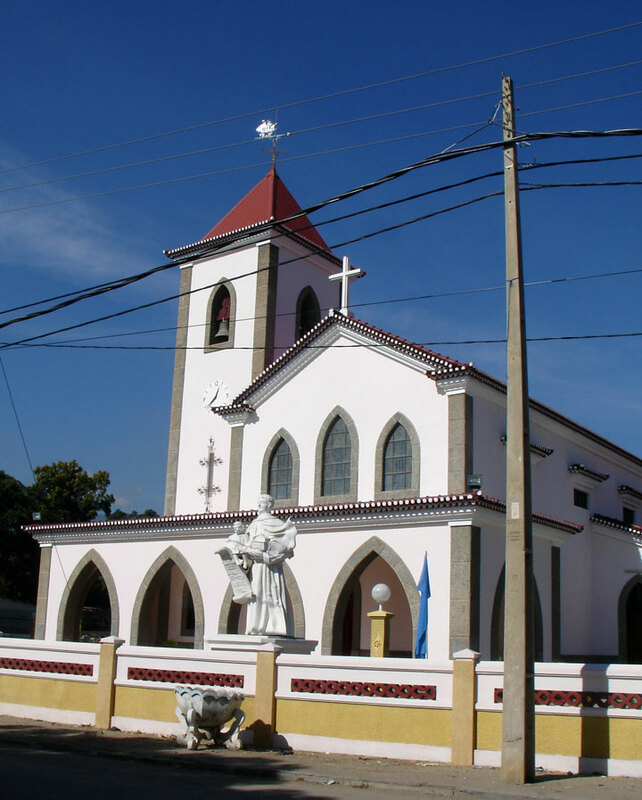 The Portuguese were the first Europeans to colonize the Maritime Southeast Asia when they arrived in the sixteenth century. 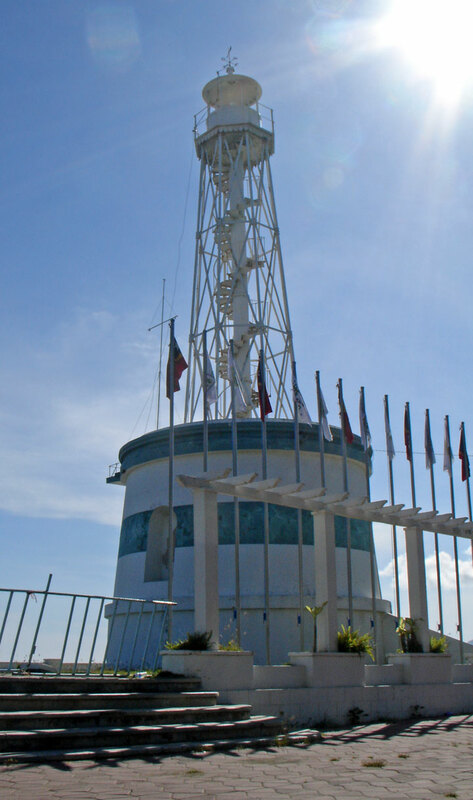 They established outposts in the (now Indonesian) Maluku Islands and Timor and surrounding islands. During the House of Habsburg's rule over Portugal (1580-1640), all surrounding outposts were lost and eventually came under Dutch control by the mid-seventeenth century. 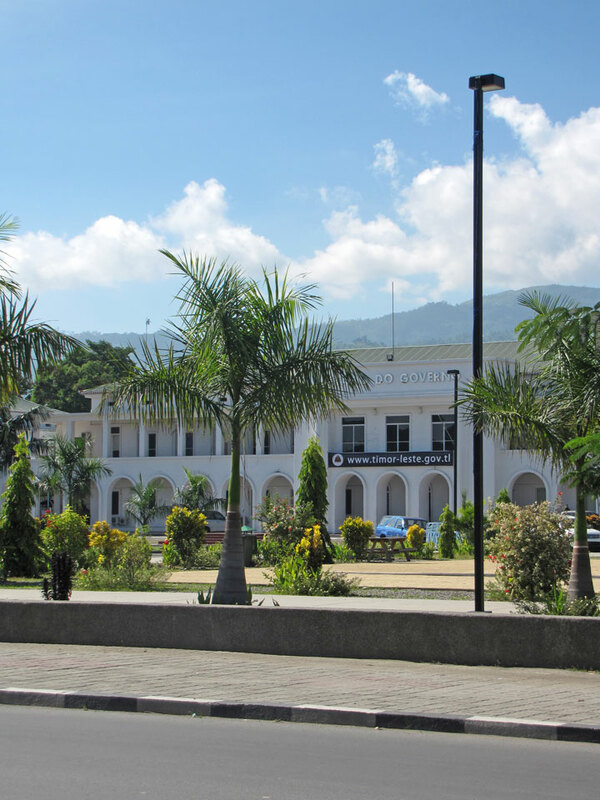 Effective European occupation of a small part of the territory only began after 1769, when the city of Dili, the capital of so-called Portuguese Timor, was founded. 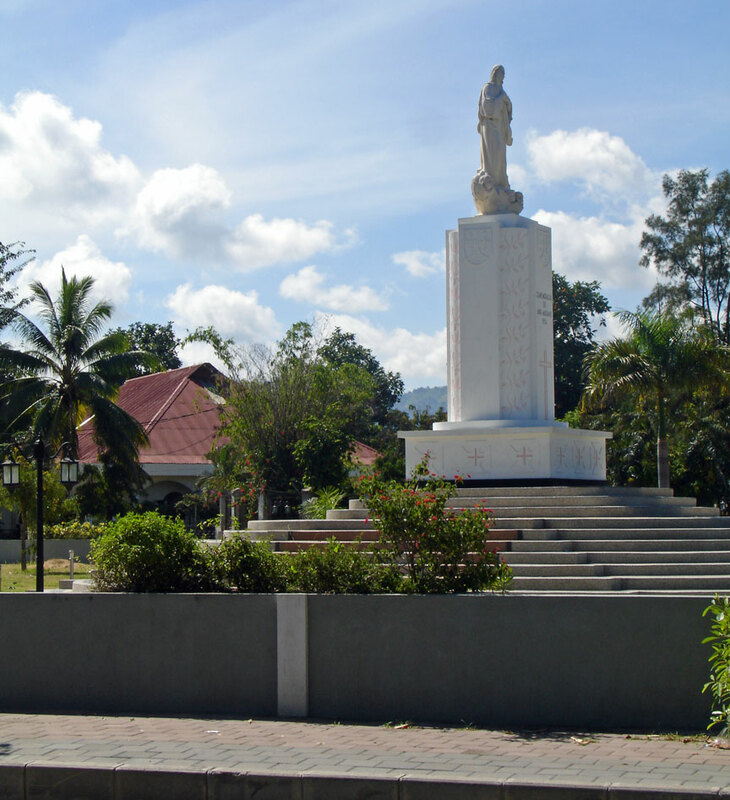 In the nineteenth century, the Netherlands gained a foothold on the western half of the island West Timor, and formally received it in 1859 through the Treaty of Lisbon. 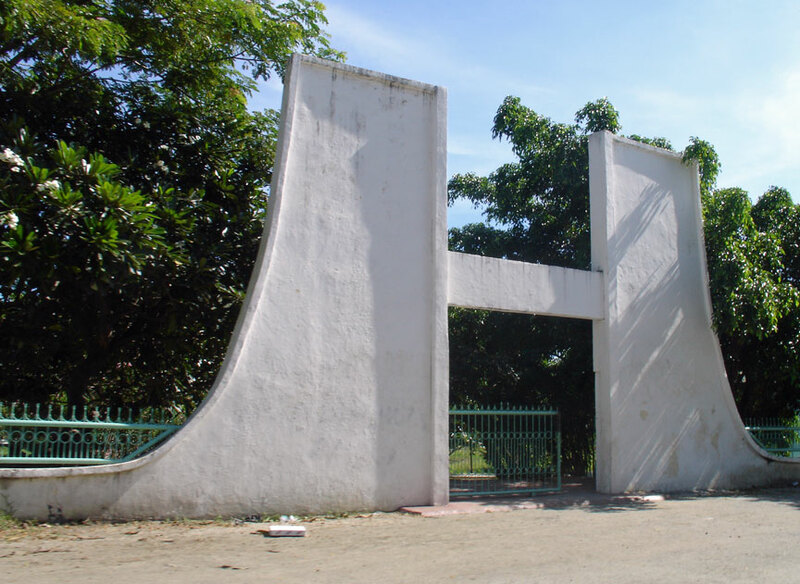 The definitive border was established by the Hague Treaty of 1916, and it remains the international boundary between the successor states East Timor and Indonesia. 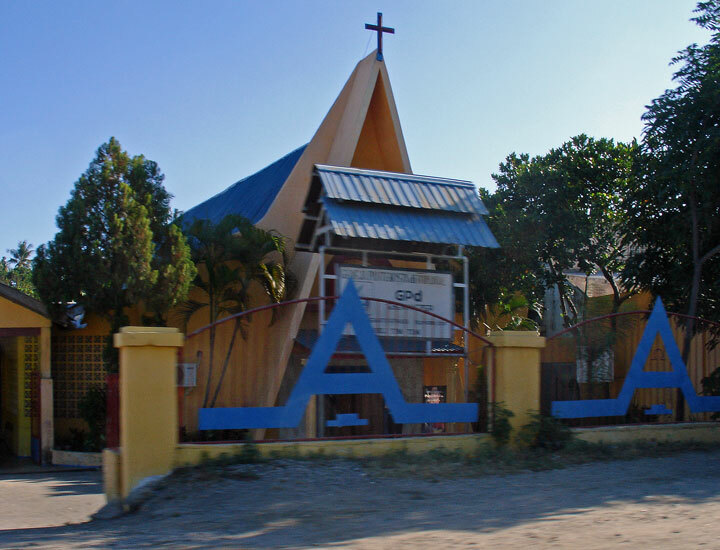 As political parties began to form and emerge inside the country, the Indonesian military headed an operation that backed Apodeti, a pro-Indonesian party that encouraged divisions between the pro-independence parties of East Timor. A brief civil war occurred in 1975. Indonesia alleged that the East Timorese FRETILIN party, which received some vocal support from the People's Republic of China, was communist. Fearing a Communist domino effect in Southeast Asia—and in the wake of its South Vietnam campaign—the United States, along with its ally Australia, supported the pro-Western Indonesian government's actions. The UN Security Council had a unanimous vote for Indonesia to stop its invasion and to withdraw immediately from East Timor’s borders, and was blocked by the United States from imposing any economic sanctions or other means of enforcing this mandate. 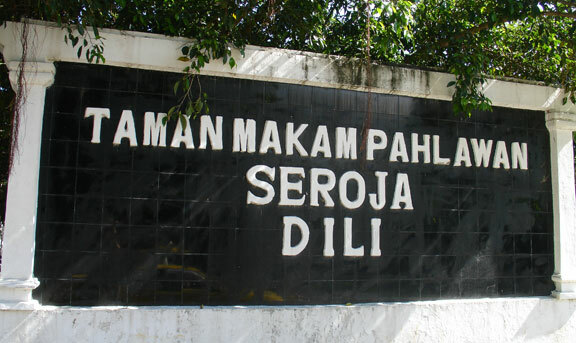 The territory was declared the 27th province of Indonesia in July 1976. 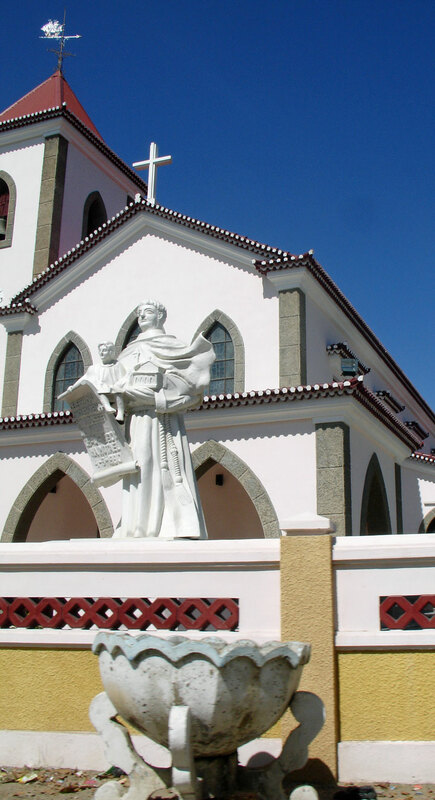 Its nominal status in the UN remained that of a "non-self-governing territory under Portuguese administration." 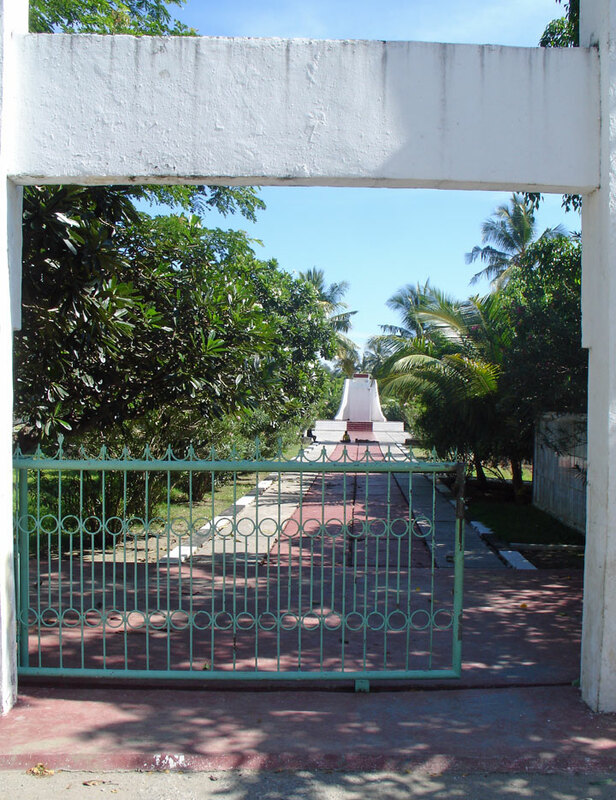 Indonesian rule in East Timor was often marked by extreme violence and brutality; estimates of the number of East Timorese who died during the occupation vary from 60,000 to 200,000, A detailed statistical report prepared for the Commission for Reception, Truth and Reconciliation in East Timor cited a minimum bound of 102,800 conflict-related deaths in the period 1974–1999, namely, approximately 18,600 killings and 84,200 'excess' deaths from hunger and illness. 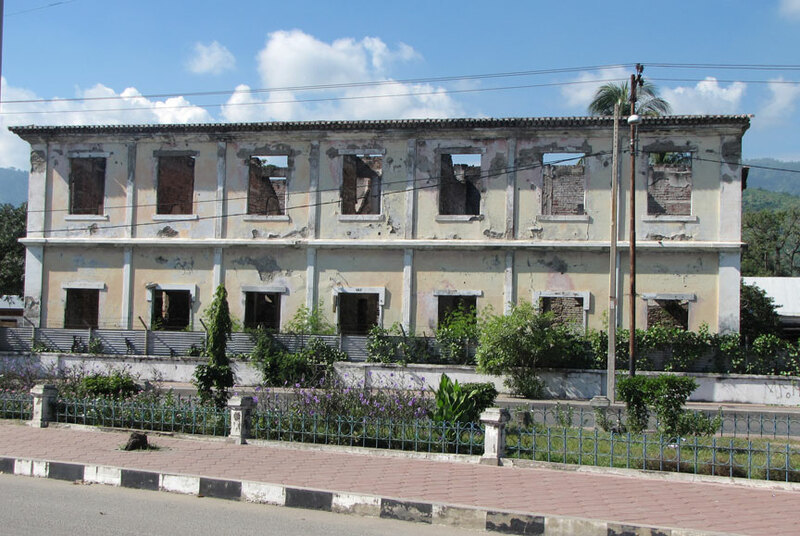 The East Timorese guerrilla force, Falintil, fought a campaign against the Indonesian forces from 1975–1999, some members being trained in Portugal by Portuguese special forces. 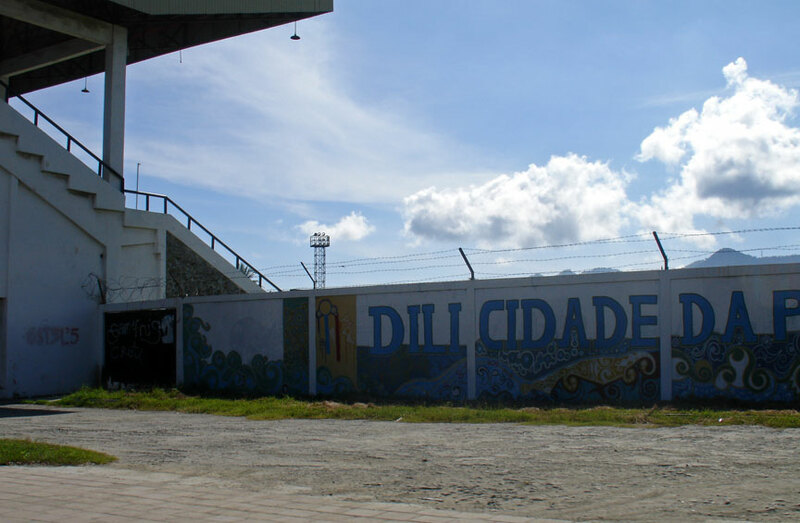 The Dili Massacre proved a turning point for the East Timorese cause internationally, and a burgeoning East Timor solidarity movement grew in Portugal, Australia, and the United States. Following a UN-sponsored agreement between Indonesia, Portugal and the United States and a surprise decision by the Indonesian President B. J. Habibie, a UN-supervised popular referendum was held on August 30, 1999, to choose between Special Autonomy within Indonesia and independence. 78.5% of voters chose independence, but violent clashes, instigated primarily by elements within the Indonesian military and aided by Timorese pro-Indonesia militias led by Eurico Guterres, broke out soon afterwards. A peacekeeping force (INTERFET led by Australia) intervened to restore order. 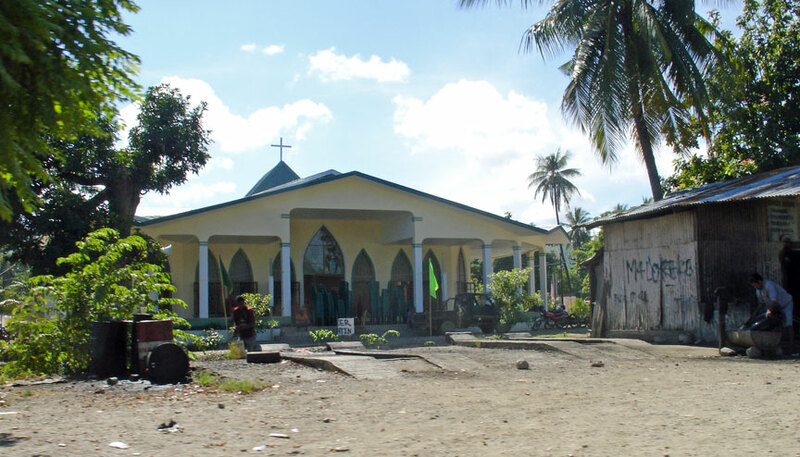 The militias fled across the border into Indonesian West Timor, from which sporadic armed raids were attempted. As these raids were repelled and international moral opinion forced Indonesia to withdraw tacit support, the militias dispersed. 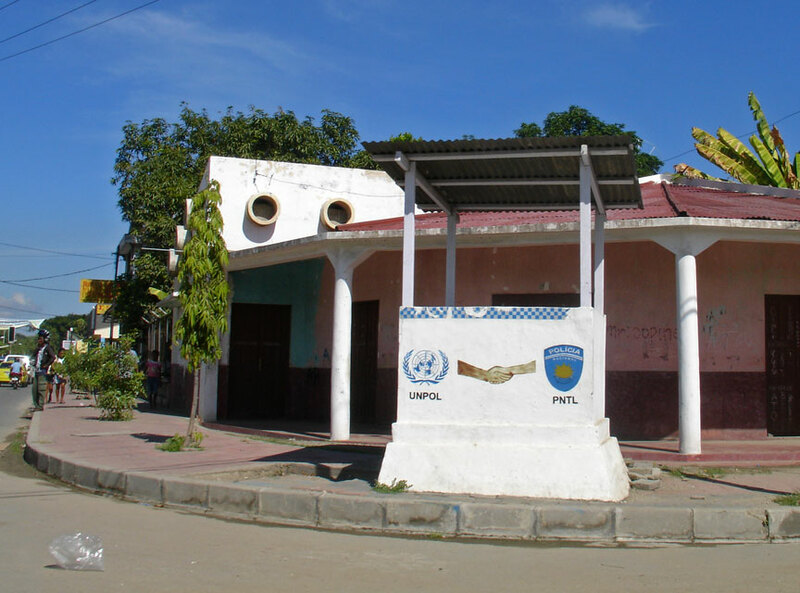 INTERFET was replaced by a UN force of International Police, the mission became known as UNTAET, and the UNTAET Crime Scene Detachment was formed to investigate alleged atrocities. UNTAET was headed by the late Sérgio Vieira de Mello as UN Transitional Administrator from December 1999 to May 2002. On December 2, 1999, De Mello established the National Consultative Council (NCC), a political body consisting of 11 East Timorese and four UNTAET members charged with overseeing the decision-making process during the transition period leading to independence. 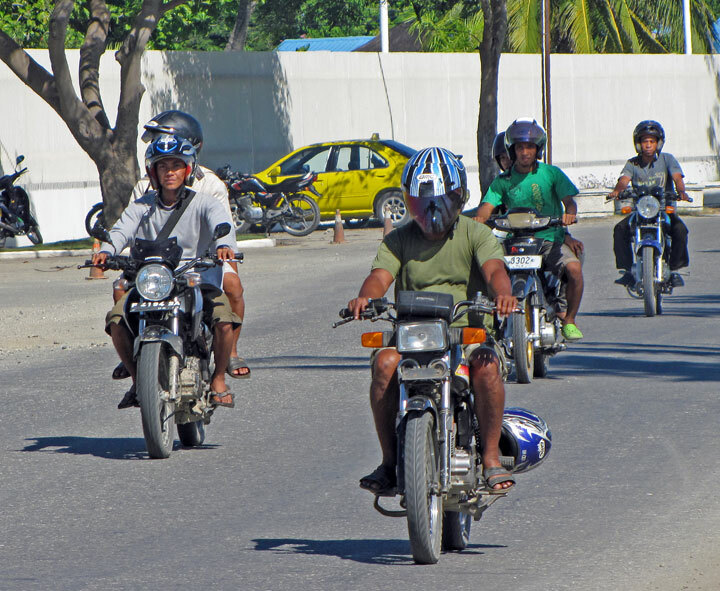 However, UNTAET experienced difficulties initially in establishing its credibility amongst the Timorese leadership, leading to street violence. An important workshop on March 1, 2000, brought the Timorese and UN leadership group together to tease out a revised strategy, and identify institutional needs. The workshop was organised by Francis Martin O'Donnell , and the Timorese delegation was led by José Ramos-Horta, and included Mari Alkatiri. The outcome was an agreed blueprint for a joint administration with executive powers, including leaders of the National Congress for Timorese Reconstruction (CNRT), led by future president Xanana Gusmão. Further details were worked out in a conference in May 2000. De Mello presented the new blueprint to a donor conference in Lisbon, on June 22, 2000, and to the UN Security Council on June 27, 2000. On July 12, 2000, the NCC adopted a regulation establishing a Transitional Cabinet of four East Timorese and four UNTAET representatives. 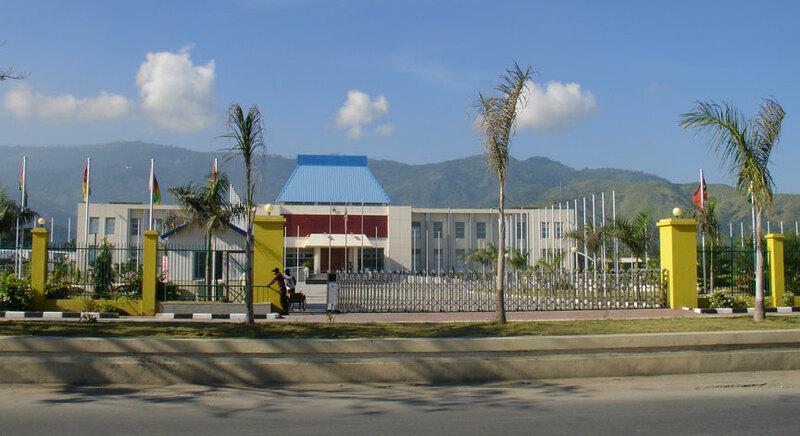 The revamped joint administration successfully laid the institutional foundations for independence, and on September 27, 2002, East Timor joined the United Nations. 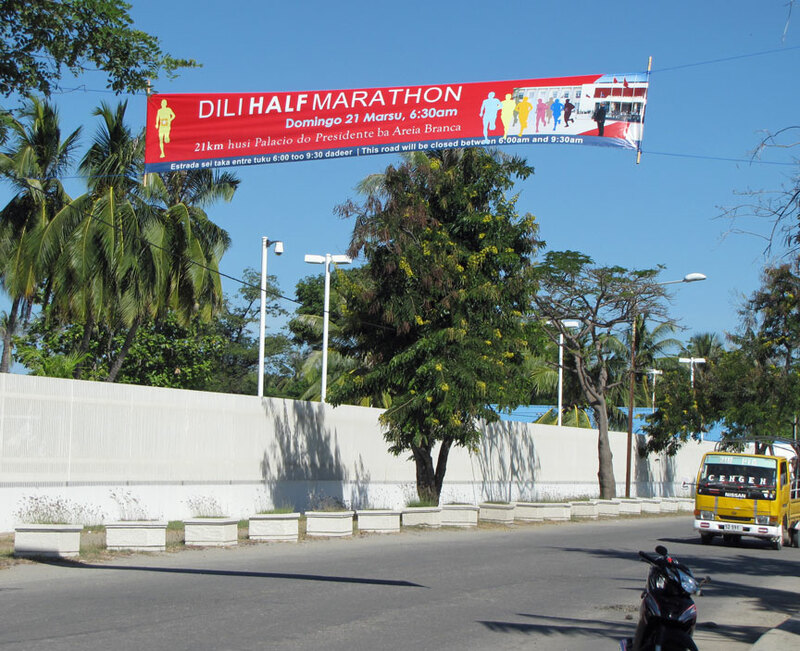 In April 2006, riots broke out in Dili following rivalry within the military and police; 40 people were killed and over 20,000 fled their homes. Fighting between pro-government troops and disaffected Falintil troops broke out in May 2006. Upon the invitation of the Prime Minister, Australia, Malaysia, New Zealand, and Portugal sent troops to Timor, attempting to quell the violence. On 26 June, Prime Minister Mari Alkatiri resigned as Prime Minister, following an ultimatum from President Xanana Gusmão that he would resign if Alkatiri did not. José Ramos-Horta was appointed as Alkatiri's successor on July 8, 2006. In April 2007, Gusmão declined another presidential term. In the build-up to the April 2007 presidential elections there were renewed outbreaks of violence in February and March 2007. José Ramos-Horta was inaugurated as President on May 20, 2007, following his election win in the second round. Gusmão was sworn in as Prime Minister on August 8, 2007. President Ramos-Horta was critically injured in an assassination attempt on February 11, 2008, in a failed coup apparently perpetrated by Alfredo Reinado, a renegade soldier who died in the attack. Prime Minister Gusmão also faced gunfire separately but escaped unharmed. The Australian government immediately sent reinforcements to East Timor to keep order.